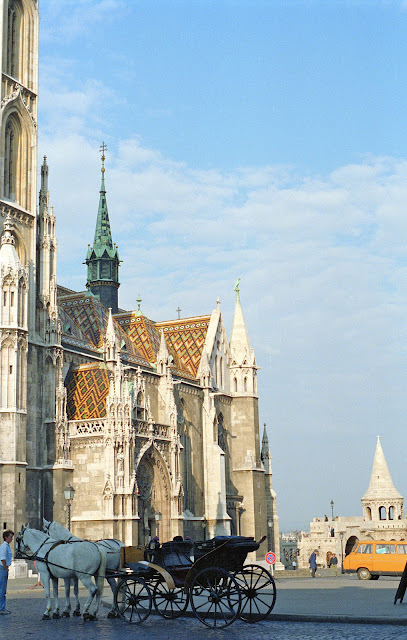 The Matthias Church in Budapest is a glorious conglomerate of Gothic, Renaissance, and Ottoman architectural styles thanks to centuries of repairs, remodels, and restorations. Also known as The Church of Our Lady, construction began in the mid-13th century but most of the Gothic exterior was fashioned in 1896. The landmark's most notable feature is its multi-colored, diamond-patterned roof tiles, similar to St. Stephen's in Vienna. 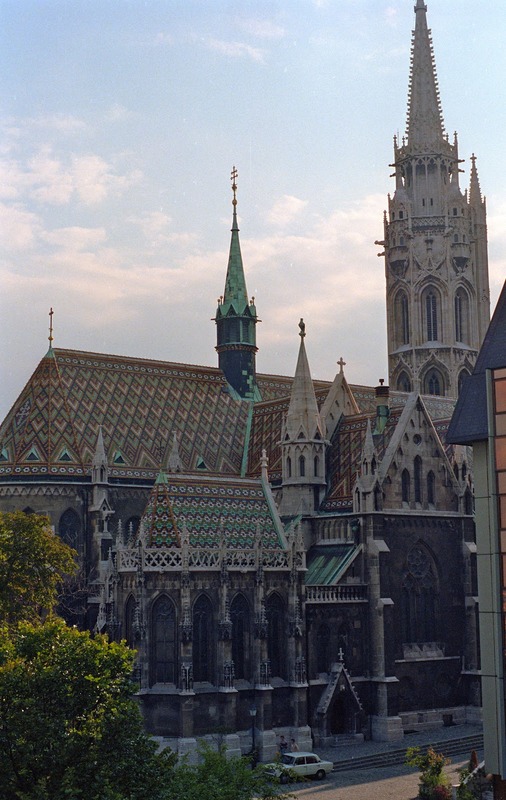 Your admission ticket into the church includes entrance to the Museum of Ecclesiastical Art, which begins in Matthias Church's crypt and contains sacred relics, medieval stone carvings, and replicas of the Hungarian Royal Crown and coronation jewels. Organ concerts are held every other Friday evening in July and August at 8:00 p.m.
Matthias Church is located on Castle Hill on the Buda side of the Danube River. A funicular is available to ride from the river up the hill. The richly intricate Holy Trinity Column in front of Matthias Church. 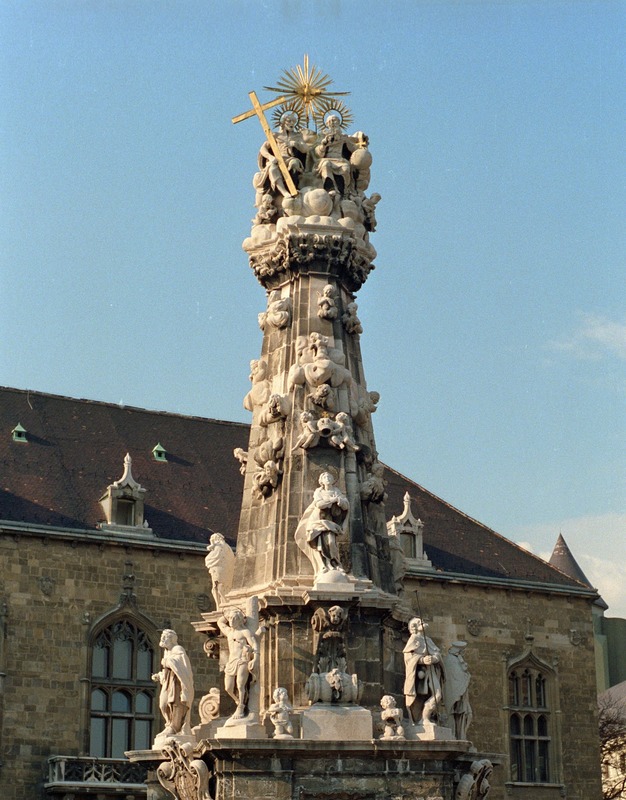 It was commissioned in 1712 as a safeguard against the plague. This post is part of DeliciousBaby.com Photo Friday. I just love your gorgeous picture - makes me want to travel back to Europe right now!!! Gorgeous church, and I really like the Trinity column. So much detail. I sure hope it worked protecting them from the plague. Beautiful photos! Budapest is one of those European cities that I want to see so badly - considering that part of Europe for summer 2013. Fabulous photos! And thanks for the idea about the organ concerts on Fridays...that would definitely be something unique to experience! Wow, I love that first photo...so beautiful! And very cool that you also get to see the museum with entrance to the church. What a beautiful church! Great pictures! I love the tiled roof. It's just so different. 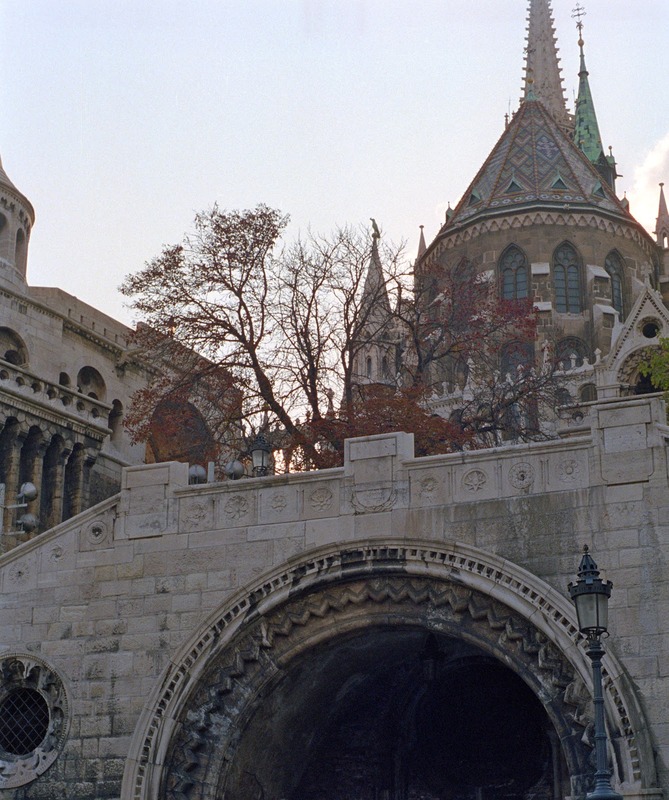 Budapest has always fascinated me and I would love to visit soon.